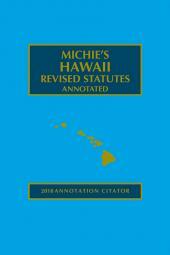 Michie's Nevada Revised Statutes Annotated is widely recognized as the most extensive and easy-to-use source for annotated Nevada primary law available. Trust the most authoritative source for Nevada primary law. Why settle for less? Experienced practitioners turn to Michie's Nevada Revised Statutes Annotated as the foremost, most authoritative and comprehensive source for Nevada primary law, and it's easy to see why. This 33-volume hardbound set contains the entire contents of the Nevada Statutes, the Constitutions of the United States and the State of Nevada, and statutory tables, all updated through the end of the latest legislative session. A 2-volume softbound index helps you find what you need quickly and easily, and new orders also receive the Nevada Court Rules Annotated at no additional cost. 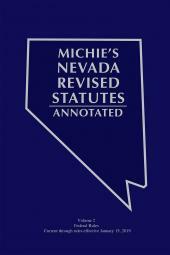 The Advance Code Servicesupplement, also available separately, is a cumulative pamphlet which updates the Cumulative Supplement to Michie's Nevada Revised Statutes Annotated. 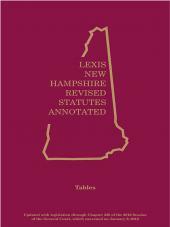 It contains annotations to the most recent state and federal court decisions as well as law review articles and other research references. TITLE 3. Remedies; Special Actions And Proceedings. TITLE 4. Witnesses And Evidence. TITLE 5. Procedure In Juvenile Cases. TITLE 6. Justice Courts And Civil Procedure Therein. TITLE 7. Business Associations; Securities; Commodities. TITLE 8. Commercial Instruments and Transactions. TITLE 12. Wills and Estates of Deceased Persons. TITLE 13. Guardianships; Conservatorships; Trusts. TITLE 14. Procedure In Criminal Cases. TITLE 16. Correctional Institutions; Aid To Victims Of Crime. TITLE 17. State Legislative Department. TITLE 18. State Executive Department. TITLE 19. Miscellaneous Matters Related To Government And Public Affairs. TITLE 20. Counties And Townships: Formation, Government And Officers. TITLE 21. Cities And Towns. TITLE 23. Public Officers And Employees. TITLE 25. Public Organizations for Community Service. TITLE 27. Public Property and Purchasing. TITLE 28. Public Works and Planning. TITLE 29. State Printing and Publications. TITLE 30. Public Borrowing and Obligations. TITLE 31. Public Financial Administration. TITLE 33. Libraries; Museums; Historic Preservation. TITLE 35. Highways; Roads; Bridges; Parks. TITLE 36. Military Affairs And Civil Emergencies. TITLE 37. Veterans' And Servicemen's Privileges And Benefits. TITLE 39. Mental Health And Mental Retardation. TITLE 40. Public Health And Safety. TITLE 41. Gaming; Horse Racing; Sporting Events. TITLE 42. Protection From Fire; Explosives. TITLE 43. Public Safety; Vehicles; Watercraft. TITLE 46. Mines And Minerals. TITLE 47. Forestry; Forest Products And Flora. TITLE 53. Labor And Industrial Relations. TITLE 55. Banks and Related Organizations. TITLE 56. Other Financial Institutions. TITLE 58. Energy; Public Utilities And Similar Entities. TITLE 59. Electronic Records and Transactions.